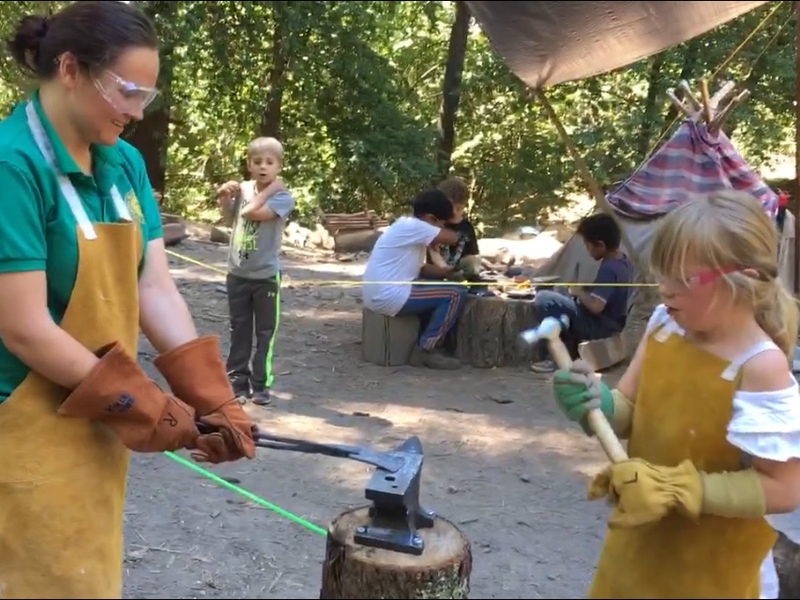 Or ages 5 to 7 can do the 1-day WILD KID FRIDAY (not blacksmithing). Register with the same button below. Located on the same 30-acre horse ranch. Doing these FRIDAY CAMPS are also a great choice for families that can't manage doing a full week of camp commuting. (Mom/dad can just drop off the kids at camp, and then go hit the beach in Santa Cruz!). The Blacksmith Workshop is open all-day on all 11 Fridays of summer. Learn how to rivet your tool. Cold-hammer copper art and tools. 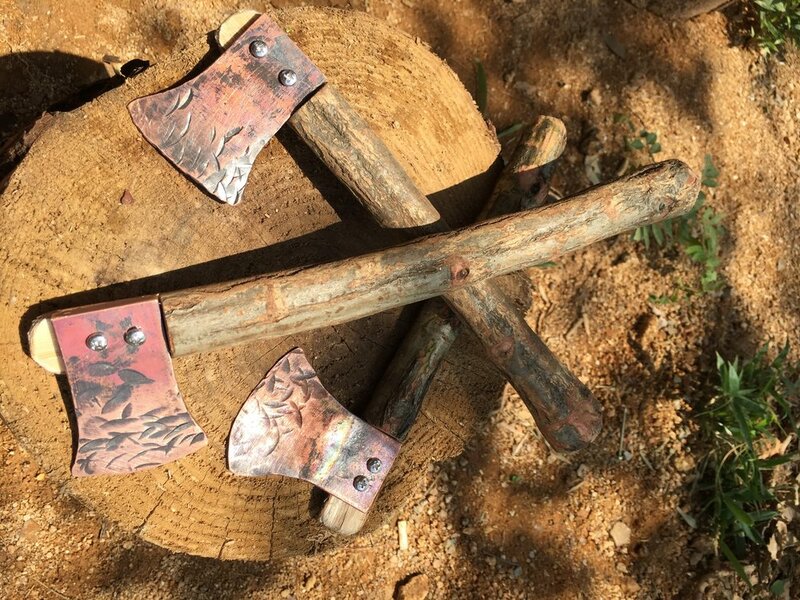 Forge an iron Adze for woodworking. Forge an iron knife with a deer antler handle. Each Friday all summer is a stand-alone camp. Students choose one Blacksmith project per Friday. Kids may advance to higher levels by attending many Fridays. Note that our 5-day Monday-Friday Adventure Maker Camps already include this Friday Camp.